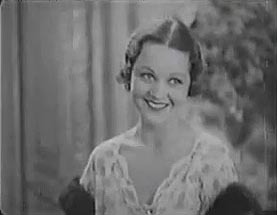 Marion Shockley was a stage, film and radio actress during the 1930s and 1940s. Her film career consisted of mainly comedy shorts with the occasional B-movie feature. On Broadway Shockley featured in Dear Old Darling (1935) and Abie's Irish Rose (1936). And on radio, Marion Shockley was the first person to play the character 'Nikki Porter', Ellery Queen's secretary, in The Adventures of Ellery Queen, from 1939 to 1944.